The Palaszczuk Government has passed one of its key legislative priorities, overhauling the state's organised crime laws and scrapping many of the former government's controversial bikie measures. State Parliament passed the Serious and Organised Crime Legislation Amendment Bill last night with the help of Katter's Australian Party (KAP) MPs. 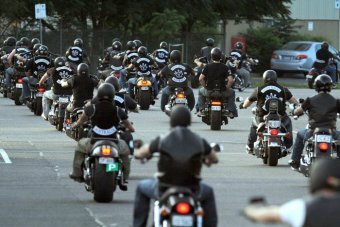 While outlaw motorcycle gangs will still be targeted, the bill also covers other organised crime including child exploitation rings, fraudulent boiler room operations and drug trafficking. The bill extends the banning of outlaw motorcycle club members wearing their club colours to all public places, not to just licenced premises, as was dictated under the LNP laws. They replace existing anti-association provisions with a new consorting offence, making it illegal for a person to consort with two or more convicted offenders after being warned by police not to do so. Premier Annastacia Palaszczuk said the new laws would give Queensland the toughest organised crime laws in the country. "My government is proud to have delivered a package of organised crime laws that will tackle everything from child exploitation rings to financial fraudster groups and outlaw motorcycle gangs," she said. Attorney-General Yvette D'Ath said there had not been one conviction under the previous Newman government's Vicious Lawless Association Disestablishment (VLAD) laws. "The taskforce report on organised crime legislation found the LNP's laws were unable to secure convictions and remained vulnerable to legal challenge," Mrs D'Ath said. "Importantly, these laws are subject to judicial oversight and proper processes to ensure its legal standing and sustainability." The Opposition was critical of the changes, saying the LNP's anti-bikie laws had worked and the changes were a concession to bikies. Opposition Leader Tim Nicholls said crime fell in 2014 after the LNP introduced the VLAD laws. He said winding them back would lead to a resurgence of problems. "The crims know they have nothing to fear from this Government. They know for all their talk and all their rhetoric, when it comes down to it, they will go to jelly — they don't have the intestinal fortitude to drive the criminal gangs out of Queensland to protect Queenslanders." 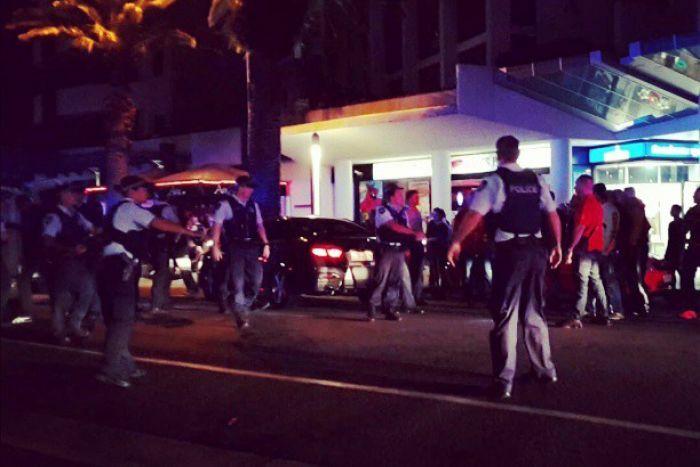 The VLAD laws were introduced after a bikie brawl outside a restaurant at Broadbeach on the Gold Coast in September 2013. Member for Surfers Paradise John-Paul Langbroek said residents were concerned about a bikie resurgence. "This bill is nothing but a kick in the guts for Gold Coast locals, " he said. "It will mean bikie club houses can reopen, bikies will be able to carry weapons and they'll be free to run licensed premises." The LNP's Tracy Davis argued the consequences of changing the laws would hurt ordinary Queenslanders. "Police were able to catch more drug offenders and get the drugs off our streets and, Deputy Speaker, as a mother of a daughter who got caught up in substance abuse, methylamphetamine, I will do everything that goes towards getting drugs off our streets," she said. Passage of the new laws looked in doubt when independent MP Rob Pyne said he would abstain and KAP MPs said they would use their vote to gain concessions from the ALP on other issues. But KAP's Rob Katter and Shane Knuth eventually sided with the minority government. Mr Katter would not reveal if a deal had been done to secure sweeteners for their electorates. "It's always important to both the Opposition and the Government that they know what is high on our agenda because we work with both sides in trying to work through this Parliament, for instance, with the rural bank," he said. "That's a very important issue for us and if there's no buy-in for that then we could be very important people to deal with." Mr Katter said they felt the new crime laws would help people living in south-east Queensland. "You can't be completely ignorant to what are priorities down here so we've got a conscience and we've still got our principles. "We can't walk away from legislation if it seems like it does a job and does a good job."